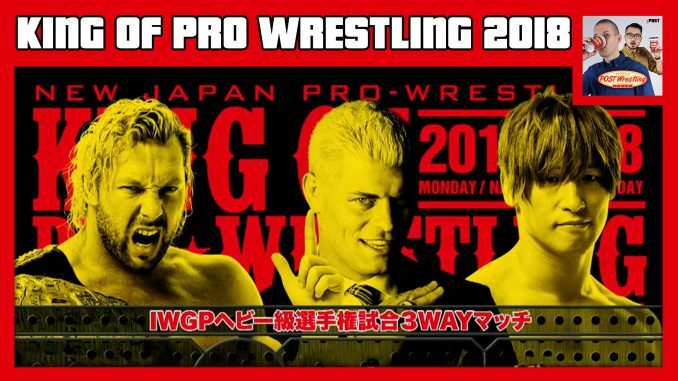 John Pollock & Wai Ting are back for a big review of NJPW King of Pro Wrestling 2018 from Sumo Hall. It was a very significant show featuring an incredible main event between Kenny Omega, Cody & Kota Ibushi for the IWGP heavyweight title, a big angle involving Jay White & Gedo forming a new alliance with the BC OGs, an appearance by Chris Jericho, the crowning of a new IWGP junior heavyweight champion, and the debut of Shingo Takagi. We also hear from a listener that attended the show live, discuss the various directions coming out of this event and more. *EVIL vs. Zack Sabre, Jr.